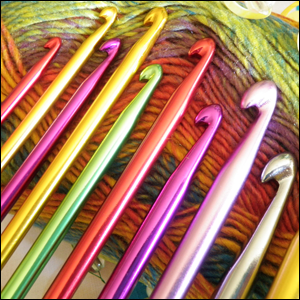 ← Do You Struggle with Crochet Patterns & Colour? Live Shows are one of the best elements of my job. I like getting out from behind my computer and interacting with enthusiastic yarn artists like you. Join me at Spinrite Factory Outlet on Friday, February 28th and Saturday, March 1st, 2014 between store opening of 10 am to 3pm both days. I am doing in-store demonstrations of arm knitting. Spinrite provides an easy atmosphere of fun and excitement for everyone. The first live Tent Sale of the year is happening on this date. All in store only. Take advantage of yarn deals to be had by all. This entry was posted in Announcements, Crafting Shows and tagged Arm Knitting, Crochet, Live Show, Mikey, Spinrite Factory Outlet. Bookmark the permalink. I Am so bummed you are going to be in a town on Friday were my husband is in Wednesday … pout pout. and we actually live in Florida. And I my current location. is Michigan. and his is Canada. and we got a card in Florida for a valued customer yarn sale and we just aren’t. hitting it luccky are we? ?